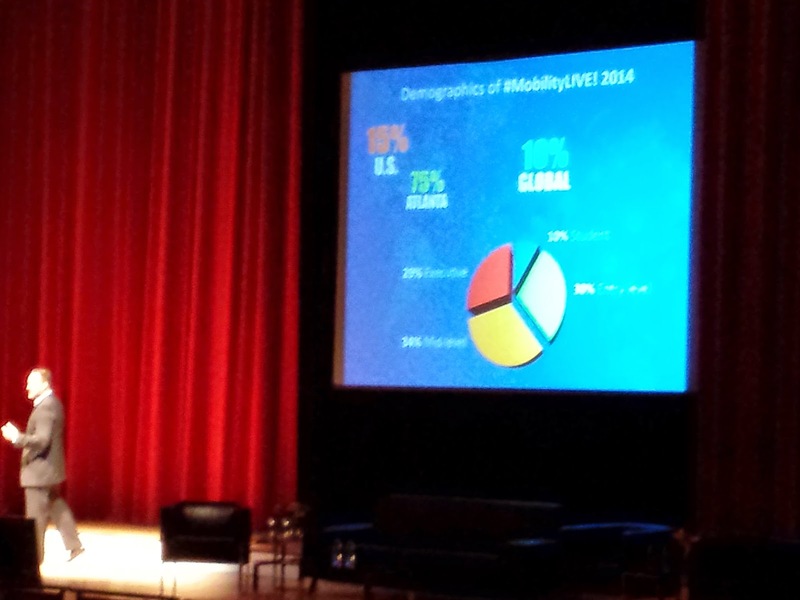 The 5 Big Take-Aways from Mobility LIVE 2015: Where’s Mobility Heading? 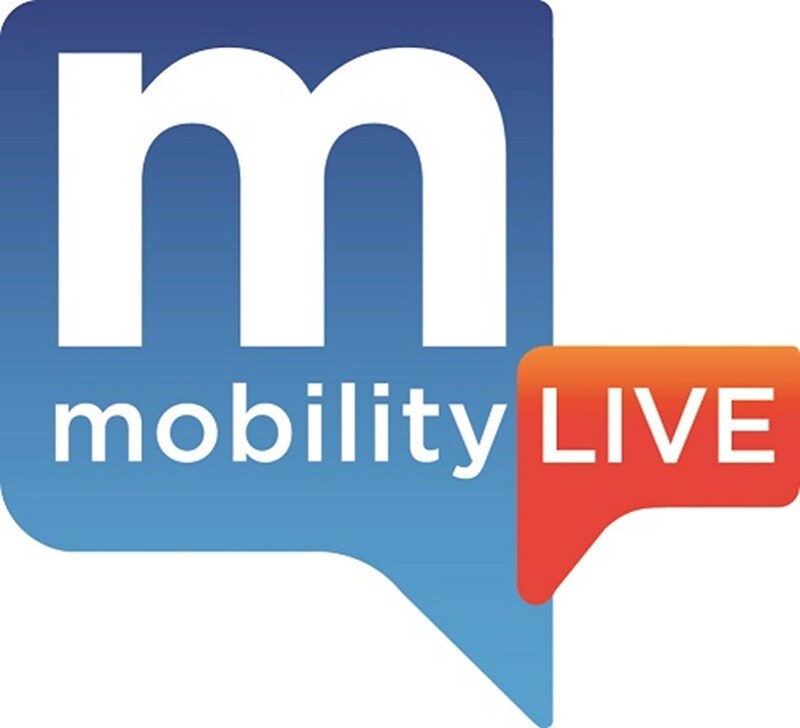 Last week, I attended the 3rd annual Mobility LIVE conference in Atlanta. This year’s event had a distinct Internet of Things (IoT) and Wearables flavor with the intersection of mobility. I heard from over 15 speakers and panels ranging from CEOs of Fortune 500 companies to early-stage entrepreneurs and to execs at ad agencies and investment firms. Topics spanned location-based marketing technology, wearables, the future of mobility and connectivity, to Atlanta’s budding entrepreneurial ecosystem and investors’ takes on the future. Security is the greatest concern. Every panel noted security as a concern as more devices become connected and wireless. However, I’m wondering if there’s a sense that the companies will figure out security. Instead, it’s about overcoming security concerns for the public who are incredibly skeptical of Big Brother, too. But even then, there’s a level of comfortability with execs in believing the value to be gained will outweigh concerns. Power consumption is the second concern. You can see this every day in frantic searches for outlets to charge smartphones. In the IoT age, sensors will be affixed to devices that currently lack power sources. With upwards of 50B connected devices by 2020, cost and efficiency of powering devices will be a daunting challenge. Carriers will be the big winners, and they’ll deserve it. In 2006, U.S. mobile data usage was 11PB (1 petabytes = 1E6 GB). In 2014, usage shot up to 4.1K PB (4.1E9GB, ~73K% growth). In 2020, mobile data is estimated to surge to 31EB per month (~3.72E11GB annually!). Those ludicrous data numbers will flow, largely, wirelessly. 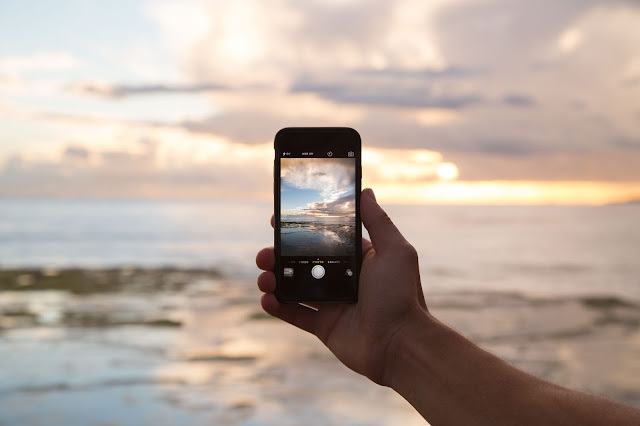 The cellular companies today will have the unenviable task of developing the infrastructure to support this throughput, and they’ll have access to all of it. Wow. Jury’s out on the effectiveness of wearables today. There are no clear standards, guidelines, and the like for wearables. Step counters can be easily faked. Smart clothing isn’t where we need them to be. Meanwhile, there are no educational programs to help doctors understand wearable data. With 33% of wearers abandoning their devices within six months, users aren’t seeing value out of wearables today. The industry must establish guidelines on data collection and analyses. Opportunities for wearables will depend, also, on interoperability of devices – exercise devices connected to nutritional devices connected to emotion devices, etc. There will be security and privacy concerns. Will there be enough value from wearables to overcome these fears? Atlanta still has so much potential for startups and entrepreneurship. The city is rich with large corporations and strengths in FinTech, MarTech, Payment Processing, Supply Chain, etc. Entrepreneurship is at an all-time high, and shows no signs of slowing down. With the cost for entrepreneurship nose-diving over the years, Georgia Tech’s presence, density of large companies, and the like, Atlanta is primed to grow through startups. But to continue growth in this trajectory, entrepreneurs must have better access to the larger corporations in Atlanta. If you were at Mobility LIVE last week, what were the big trends you noticed? From the above, where do you see opportunities to build the Next Great Startup? If you haven’t already seen, take a look at the Day 1 Notes from Mobility LIVE and then Day 2 to see the more detailed take-aways. Very interesting insights. http://www.daryllu.com/wp-content/uploads/2018/10/entrepreneurial-ninja_logo_sm.png 0 0 Daryl Lu http://www.daryllu.com/wp-content/uploads/2018/10/entrepreneurial-ninja_logo_sm.png Daryl Lu2015-11-05 14:57:002015-11-05 14:57:00The 5 Big Take-Aways from Mobility LIVE 2015: Where’s Mobility Heading? Last week, I attended the 2nd annual Mobility LIVE conference in Atlanta hosted by the Metro Atlanta Chamber. The two-day event included some of the largest enterprise players in mobility, especially those in Atlanta. It was a great experience to hear what some of these companies are addressing current and upcoming concerns, how mobile has changed the field, and where they see the next opportunities. Not bad, considering I went there for some inspiration and general understanding of the potential customers across the table if I were to build a B2B technology play. Given about a week to digest, I’m back to share what I believe were the five recurring, predominant themes shared by mobility stalwarts including Michael Zeto(former founder and CEO of acquired-Proximus Mobility, now at AT&T), Margaret Martin(founder and CEO of Merlin Mobility), Michael Flanigan (co-founder of Covello), and many more. It’s the Age of the Consumer. Or rather, “consumer driving the experience” per David Wilkinson, VP of Global Channel Sales for NCR. Retail (physical) and online sales channels… social media outlets… mobile messaging… massive rise of on-demand services… consumers are connected more than EVER at incredible pace. With this comes incredible power for consumers to drive experiences in omni-channels and ability to quickly connect – buy or not buy. Corporations (big, medium, small, everyone) are all trying to reach the end-consumers meaning consumers at the end of the day, they’re all vying for OUR business. They’re vying to be relevant in an increasingly transparent world. Everyone’s Hesitatingly Excited About Mobile Payments. We’ve tried this mobile payment thing for years – Google Wallet, Square, PayPal, etc.. NFC is a big thing across the oceans to the east and the west. Bitcoins are… well… Bitcoins. What’s the difference now? Well, really, the difference occurred a month ago before Apple announced Apple Pay. Per Anthony Gallippi, co-founder and Executive Chairman of BitPay, Apple has a way of creating markets and exciting massive markets around new products and services. Everyone in the room is excited to implement quick-set-up, mobile pay solutions in retail, and Apple is seen as a key to educating and influencing consumers to be more comfortable with the notion of paying with the phone. They see incredible potential to be able to change the retail landscape with these options including the chance to empower retail employees for upsell and consumer experience opportunities as well as increasing receipts through faster, easier check-outs. Social enterprises are big opportunities, but not attracting the innovation. I read an article the other day about how there aren’t enough companies tackling “big problems – little b, little p” – see the MIT article here. Well, the small problems are only small because most startups are looking to build the next Snapchat or WhatsApp to make some obscene 100 quadrillion dollar exit. There’s meager investment in non-profit areas and solve problems of the “unexotic underclass” as the article writer puts it. There aren’t enough startups looking to bring technical experience and innovation to help meaningful causes. Atlanta is home to some fantastic social enterprises including the American Cancer Society, Points of Light, and Boys and Girls Clubs of America. There was a hackathon component to Mobility LIVE to hack tools and solutions for the three aforementioned organizations. It’s amazing the problems they have or the problems they were trying to solve. They seemed rather “simple” from a technical perspective, and yet, here they were asking for help. My take is that there just isn’t enough money to steer towards innovation at these incredibly lean organizations. Not only that, but they’re spread so thin locally, nationally, and globally while continually trying to raise funds to help support existing initiatives. The non-profit world is hard, but there’s big opportunities here to bring some more talent to solve these “big problems – little b, little p”. Everything is social. Everything is mobile. Everything is cloud. Everything is everything.You’re probably thinking: “What the heck is he talking about?” I’m talking about how everything is converging. Much like I said before, worlds are connected across the physical and digital realms. Big data analytics is giving companies better insights into consumers. Drones are about to take-off (literally and figuratively) and deliver packages from Amazon probably equipped with mini-cameras to watch our every movement. (Okay, that one might be farther away.) However, that phone you might be reading this on is the gateway for evolution. It’s allowing all of us to connect socially, purchase instantly, and communicate constantly. Soon, we’ll only be a few clicks away to buying digital goods across continents thanks to digital currency. We’ll be served up coupons as we walk into retailers. We’ll have way easier times putting together Ikea furniture thanks to augmented reality from innovators like Merlin Mobility. Everything is becoming more and more intertwined so that it won’t be too long that things won’t necessarily be “cloud” or “social” or otherwise. It’ll be answer choice D) all-of-the-above. Perhaps kind of like in stocks, what you hear is a good stock, the opportunity to strike is already gone. In this case, what the presenters and speakers talked about, they’re working on those opportunities already. Nevertheless, it’s interesting to hear how much mobility has really affected our everyday lives and how flatthe world is really getting (I haven’t read the book to borrow the term). Also, Atlanta is in a great place for this continuing evolution. We’re very much becoming an incredibly connected city with innovation highlighted by large companies headquartered here or nearby, and spearheaded by a massive entrepreneurial movement. Number 5 in “app intensity” via CTIA. Number 3 city for young entrepreneurs via Forbes. 28 companies in the Fortune 1000 call metro Atlanta home + 4 elsewhere in the state of Georgia (see Metro Atlanta Chamber site). There are way more data points, but those are just some quick indications shared at Mobility LIVE that highlight not only where Atlanta (and Georgia) sit in Mobility, but also the opportunity for Atlanta to continue to influence the evolution. How is your company addressing the above five themes? What are some other themes you’ve seen in mobility that I didn’t mention?